Alu Oxide Dry Sanding products are made of high quality White Aluminium Oxide. White aluminium oxide is less brittle and has a longer lifetime than glass. It is also very good for coloring. 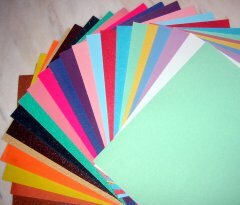 All Santo Alu Oxide Wet Sanding papers have a high quality flexible and waterproof Latex backing. Products are available upon request and subject to minimum order quantities. Other colors than shown are available on customers request. Contact us directly to discuss your individual requirements.